So, tell me, what is Pursuit? Being captivated supernaturally in boldness. as we seek, hear and rejoice reaching the lost. More time for God, sharing the Father’s love, yielding completely to the Holy Spirit! 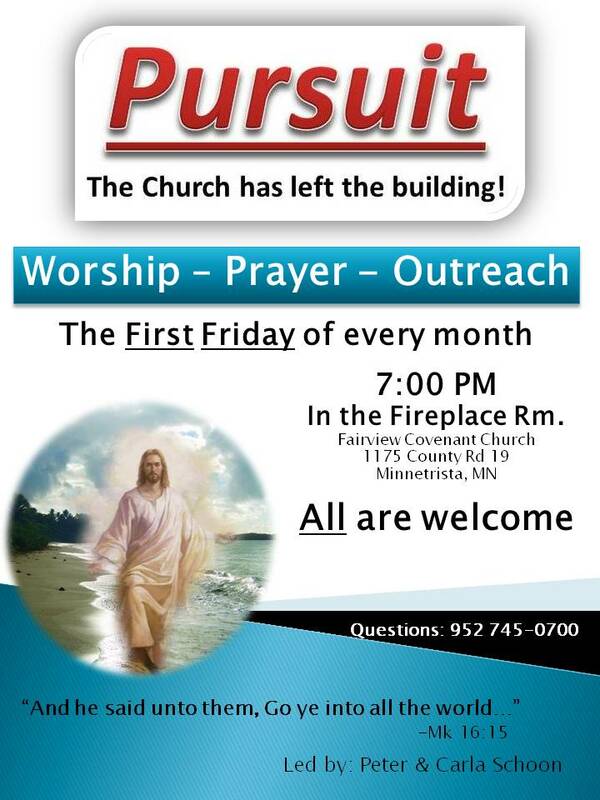 We are a ministry of Fairview Covenant Church in Minnetrista, MN that meets the 1st Friday evening of every month in the Fireplace Room at the Church. 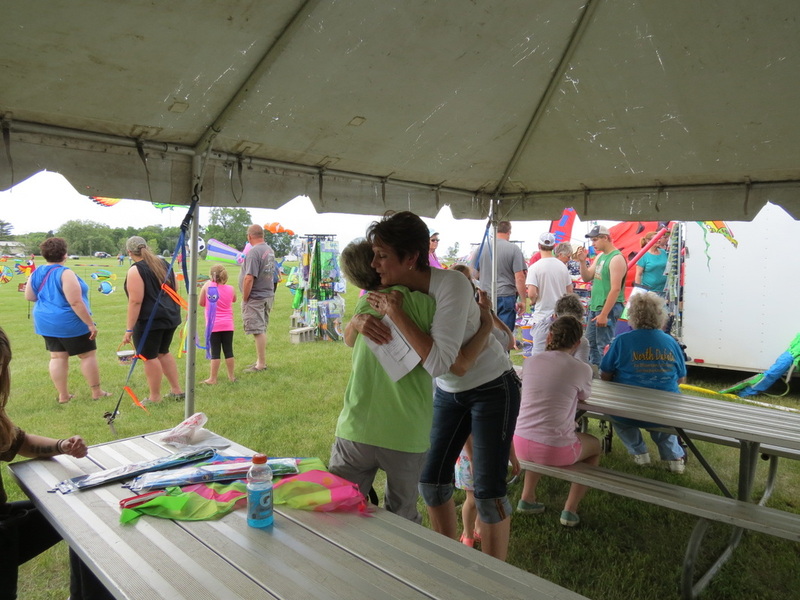 God breathed the vision for this outreach focused ministry into Peter & Carla Schoon, He named it "Pursuit" because it is to be 100% focused outside the walls of the Church, and missioned to pursue the missing younger generations in our own Jerusalem (Minnetrista, Orono, Long Lake, Navarre, Mound, Spring Park, Wayzata, Plymouth, Minnetonka, Waconia, Deephaven, Excelsior, Maple Plain, Shorewood, Delano, St. Bonnifacius). An (Un) typical 7:00 - 9:00 evening includes anointed contemporary worship (will rock your soul! ), prayer, a move out into the marketplace to encounter those the Holy Spirit has directed each small team of 3 or 4 to, ministry as the Lord's love flows through us to those He leads us to, and then a return to share testimonies of what He did. -Share God's love out in the marketplace with those who have never experienced His presence in a real and powerful way. -Cement this new faith through baptism both in water and the Holy Spirit. -Make disciples of new followers of Christ that they may join in the harvest! I am a "me" and well prepared to be sent. (You've been so patient as I've 'sat' for so long). Empower me with your indwelling Holy Spirit. Overflow me with your love that I might spill it out all over each one you bless me with the opportunity to love. To love with an introduction to You through the heart shaking experience of hearing from You! Please, oh please give me open eyes, ears, and heart to not miss my next divine appointment that you planned before the beginning of time!